This amazing ornament is made in resin and is meticulously painted to perfection. In addition, the ornament comes in a beautiful Collectors Window Box. 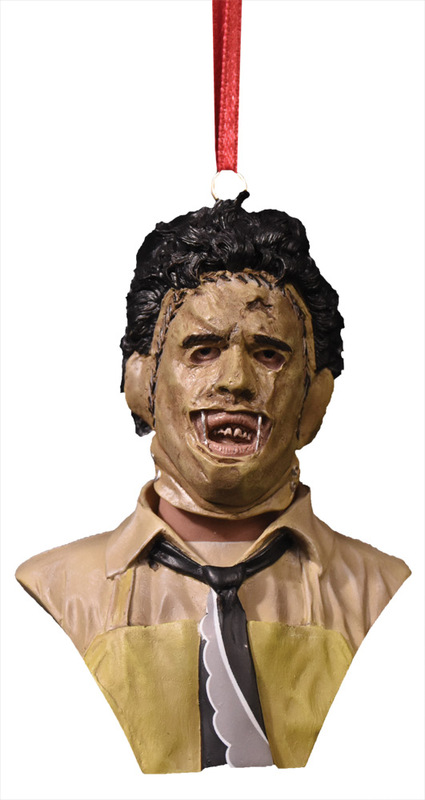 So get yourself our Holiday Horrors Texas Chainsaw Massacre Leatherface Ornament and proudly display it in your car, house, office and of course, you Christmas Tree.